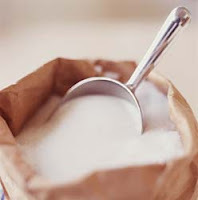 Yesterday a top official of the Uttar Pradesh's cane department said that the state which is the second largest sugar producer of sugar was earlier expected to produce 5.16 million tonnes is now likely to produce 5.95 million tonnes of sugar in 2010-11 (October-September). He added that the farmers had planted more cane this year due to the better prices they got last year and hence the sugar output in India is likely to increase in 2010-11. On an average, farmers in Uttar Pradesh were paid around Rs 250-290 a quintal for cane. As per the earlier estimates by the official, it was expected that the state will crush 56.6 million tonnes of cane in 2010-11 but it is now revised to 65 million tonnes of cane. Further he said that the final figure for the 2009-10 cane output will be available only by July 15. India''s Infrastructure Development Finance Co launched a share sale. This, however, is in order to raise up to $575 million through a qualified institutional placement (QIP). Meanwhile, the floor price for the sale of shares of IDFC was set at Rs 168.25 ($3.6) a share. IDFC is a lender and consultant for infrastructure projects. The floor price, in the meantime, represents a discount of around 1% on the company''s closing share price of Rs 169.90 on Monday. On the other hand, in late April, the lender''s board had approved raising up to Rs 3,500 crore ($750 million) through equity or equity-linked instruments in order to fund future growth needs. Previously, Infrastructure Development Finance Co (IDFC) stated that it is planning to raise up to $750 million. The new equity shares rank pari passu in all respects with the existing capital. 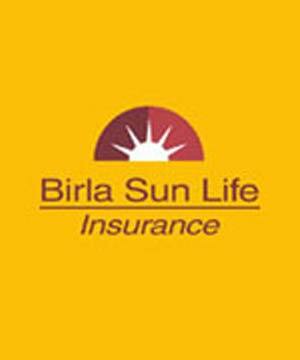 Birla Sun Life Mutual Fund has declared dividend under the dividend option of Birla Sun Life Monthly Income Fund -Quarterly dividend. The record date for the dividend has been set as June 30, 2010. The fund house has decided to distribute Re. 0.1825 per unit on the face value of Rs 10 per unit as dividend on the record date. The scheme recoded NAV of Rs 11.9253 per unit as on June 24, 2010. 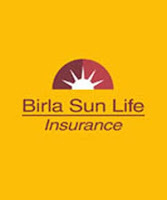 Birla Sun Life Monthly Income Fund is an open ended income scheme with a primary investment objective to generate regular income so as to make monthly and quarterly distributions to unitholders while the secondary objective is growth of capital. 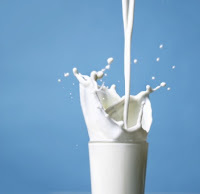 As per the foreign trade office, India on Thursday decided to extend the ban on import of milk and milk products from China for another six months. The ban would prohibit the import of chocolate and chocolate products, candies, confectioneries and food preparations with milk as an ingredient from the neighboring country into India. The notification for the ban was issued by the Directorate General of Foreign Trade (DGFT) under the Ministry of Commerce on Thursday. The current restriction is an extension of the September, 2008 ban in the Imports of milk and milk products from China. However despite the DGFT not citing any reason for the extensions of the ban, sources have pointed out that the government is concerned that the imported milk from China may contain the deadly chemical melamine. Melamine is a deadly chemical which can cause problems such as kidney stones. 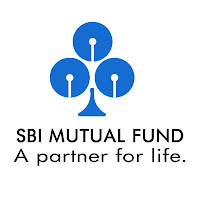 Tata Mutual Fund has declared dividend under dividend option of Tata SIP Fund Scheme II. The record date for dividend has been set as June 29, 2010. The dividend will be entire distributable surplus available on the record date. The NAV of the scheme as on June 22, 2010 stood at Rs 11.9594 per unit. Tata SIP Fund Scheme II is a 36 months close ended hybrid scheme with a primary objective to achieve a long term growth. Moreover, the scheme seeks to achieve investment objective by investing systematically in the equity/equity related instruments. The commodity exchange regulator - Forward Market Commission (FMC) has given an unconditional approval to Multi Commodity Exchange (MCX) of India Ltd. for an Initial Public Offering (IPO). Earlier on 22nd April, the regulator has passed a No-Objection Certificate (NOC) to MCX for its proposed IPO. However, the NOC was granted on the condition that the exchange sells a 10 % stake to public sector firms and agri-co-operatives. In last month, the exchange could not find any buyers for its offer and hence approached the FMC for exemption of this condition. Besides, the exchange has been exempted from selling a 10 % stake to state-run companies after failing to find a buyer for the holding. Mr. B C Khatua, Chairman of FMC has said that FMC has exempted the previous condition and approved a NOC for MCX IPO. On stray dollar selling by exporters and banks, the Indian rupee increased by 7 paise against the US dollar to 46.17/18. This was in the midst of sustained capital inflows. Meanwhile, the rupee resumed lower at 46.30/31 per dollar at the Interbank Foreign Exchange market from Tuesday''s close of 46.24/25 per dollar. It, however, hovered between a range of 46.14 and 46.36 before finishing the day at 46.17/18 a dollar. Moreover, dealers attributed a decline in the rupee value to the decline in equities. While most other Asian markets ended in the red, the Indian benchmark index ended flat. European stocks, too, displayed a weak trend in late morning deals. In the meantime, constant capital inflows into local equities also enhanced the rupee sentiment. Reliance Industries was close to announcing a deal to pay $1.35 billion. It is for a stake in a Texas shale gas field controlled by Pioneer Natural Resources. 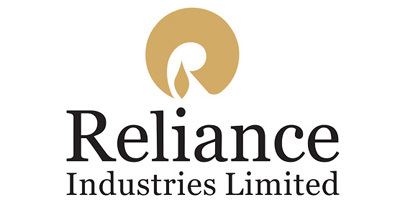 Reliance is India''s largest listed company. It will buy a 45% stake in the Eagle Ford shale gas field in south Texas. Earlier, it was said that Reliance Industries (RIL) looks to foray into thermal power projects after telecom. It may bid for the ultra mega power projects (UMPPs) in Chhattisgarh and Orissa. It is expected to bid for the 2 UMPPs for which the government has issued RFQs (Request for Qualification). Technofab Engineering Ltd. (TEL) is eyeing to bring its Rs. 750-800 mn Initial Public Offer (IPO) to the market. The company has said that its proposed IPO would fall in a price range between Rs. 230-240 per share. The proceeds from IPO will be used to finance construction equipment as well as setting up a maintenance and storage facility, and a training centre for employees. The issue is expected to open on 29th June and close on 2nd July. The company has already filed a Red Hearing prospectus (RHP) with the Registrar of Companies (RoC) for its proposed IPO. The IPO would constitute 29.90 lakh equity shares of face value of Rs 10 each. Besides, the issue comprises of a reservation of 50,000 equity shares of Rs 10 each for eligible employees. 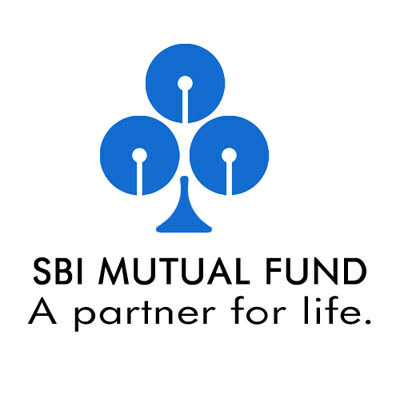 SBI Mutual Fund has declared dividend on the face value of Rs. 10 per unit under dividend option of Magnum Monthly Income Plan. The record date for the dividend has been set as June 25, 2010. Under the Magnum Monthly Income Plan (Quarterly): Rs.0.1501 per unit for Individual & HUF and for Other Investors, NAV: Rs. 10.4759 per unit. Magnum Monthly Income Plan - Floater (Quarterly): Rs.0.1000 per unit for Individual & HUF and for Other Investors, NAV: Rs. 10.4404 per unit. यह इस साल में नोट किया गया है कि लंदन मेटल एक्सचेंज के खराब प्रदर्शन के आधार धातु परिवार में जिंक का नेतृत्व कर रहे हैं और कर रहे हैं और बदसूरत बहनों माना जाता है. 14 जून के रूप में, जिंक की कीमत करीब प्रति टन 1,797 डॉलर थी, 29.8% की हानि करने के लिए तिथि एक वर्ष दिखा, जबकि प्रति टन 1,715 डॉलर में लीड बंद, 29.5% की एक हानि क्रमशः बना रही है. हाल के हफ्तों में इसके अलावा, सभी औद्योगिक इन दोनों धातुओं के बीच में सबसे खराब प्रदर्शन कर रहे हैं. दूसरी ओर तांबा और एल्यूमीनियम LME पर उच्च प्रदर्शन देखा है, लेकिन मांग उबरने के रूप में kicks गिरते देखा है, जबकि दोनों जिंक और सीसे की सूची बढ़ती मुद्रा जारी रखा है. पिछले सप्ताह के अंत के दौरान वहाँ लीड शेयरों की 193,000 टन LME के साथ पंजीकृत है, 46,225 टन ऊपर या 31.5% वर्ष की शुरुआत पर था, और सबसे अधिक 2002 के अंत के बाद से देखा स्तर. हालांकि वर्तमान टन भार LME द्वारा रद्द कर 19,025 टन जो कुल पंजीकृत शेयरों की लगभग 10% के बराबर है और प्रमुख LME ठेके से किसी के उच्चतम अनुपात है पर खड़ा है. जनवरी के महीने में इससे पहले भी इसी तरह रद्द टन भार देखा था, लेकिन उस समय 16,000 टन, डेट्रोइट और बाल्टीमोर में ज्यादातर अमेरिका में रद्द कर दिया गया पर. रद्दीकरण का वितरण इसके अलावा इस समय के रूप में यह लगभग हर अमेरिकी के रूप में सिंगापुर और एंटवर्प के रूप में अच्छी तरह से बेल्जियम में शामिल किया गया है व्यापक स्थान दिया गया है. के शीर्ष पर इस जनवरी मास रद्दीकरण तीन दिन के कोर्स पर जगह ले ली है जबकि वर्तमान फट तीन सप्ताह के लिए चल रहा है. इसलिए स्थिति को देख यह अमेरिका है, जहां रद्द टन भार के थोक स्थित है में विशेष रूप से पंजीकृत LME धातु के लिए वास्तविक मांग का एक तत्व है, पता चलता है. इसके अलावा एक प्रश्न चिह्न बना हुआ है कि क्या यह एक मौसमी घटना है. यह देखा गया है कि ऑटो बैटरी, भारी धातु के लिए एक महत्वपूर्ण अंत का उपयोग क्षेत्र, अत्यधिक ठंड और अत्यधिक गर्मी की अवधि के दौरान विशेष रूप से जोखिम रहता है. लीड बाजार बैटरी सर्दियों के मौसम के दौरान भारी मांग और भी गर्म गर्मी के दौरान वहाँ एक मिनी शिखर प्रतिस्थापन बैटरी के मौसम की कुछ संभावना है. 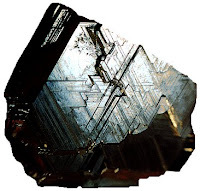 In this year it has been noted that in the base metal family of London Metal Exchange the worst performer are Zinc and lead and are considered to be the ugly sisters. As on June 14, the close price of Zinc was $1,797 per tonne, showing a year to date loss of 29.8% while Lead closed at $1,715 per tonne, making a loss of 29.5% respectively. Moreover in the recent weeks, among all the industrial metals these two are the worst performers. On the other hand copper and aluminium have seen performing high on LME but has seen falling as recovering demand kicks in, while the exchange inventory of both zinc and lead has continued rising. During the end of last week there was 193,000 tonnes of Lead stocks registered with the LME, up 46,225 tonnes or 31.5% on the start of the year, and the highest level seen since late 2002. However the current tonnage cancelled by LME stands at 19,025 tonnes which is equivalent to almost 10% of total registered stocks and the highest ratio of any of the major LME contracts. Earlier in the month of January similar cancelled tonnage was seen but at that time 16,000 tonnes were cancelled, mostly at Detroit and Baltimore in the US. Moreover the distribution of cancellations has been wider this time as it has involved nearly every US location as well as Singapore and Antwerp in Belgium. On top of this the January mass cancellations took place over the course of three days while the current burst has been running for three weeks. Therefore looking at the situation it suggests an element of genuine demand for LME-registered metal, particularly in the US, where the bulk of the cancelled tonnage is located. Moreover a question mark remains whether it is a seasonal phenomenon. It is seen that the auto batteries, a key end-use sector for the heavy metal, are particularly vulnerable during periods of extreme cold and extreme heat. The Lead market has huge demand during the winter battery season and also during the hot summer there are some chances of a mini-peak replacement battery season. सरकार को अगले साल तक मोबाइल नंबर पोर्टेबिलिटी स्थगित की संभावना है, के बाद कुछ ऑपरेटरों उनके MNP उपकरणों के साथ तैयार करने के लिए जून के पहले की समय सीमा 30, 2010 को पूरा नहीं थे. MNP एक ऑपरेटर के भीतर मोबाइल उपभोक्ताओं की सुविधा के लिए एक ही नंबर बनाए रखने अगर वे एक और ऑपरेटर के लिए स्विच जाएगा. इस योजना के तहत प्रमुख आवश्यकता MNP गेटवे के लिए है अलग है ऑपरेटर मोबाइल ऑपरेटरों के बीच संचार porting संभाल. ट्राई के अध्यक्ष जे एस सरमा मुद्दे पर चुप रहे, जबकि दूरसंचार (डॉट) आधिकारिक संक्षिप्त व्याख्या, "मैं MNP इस वित्तीय वर्ष में कार्यान्वित किया जाएगा कि नहीं लगता है. के एक विभाग"
एक पंक्ति में यह तीसरी बार किया गया है कि सरकार. गया है कि यह सेवा प्रदाताओं द्वारा व्यक्त करने के लिए इसे लागू अनिच्छा के बाद देरी के लिए मजबूर किया गया है. उसी बात को संबोधित करते हुए एक मंत्रालय के एक अधिकारी बिजनेस स्टैंडर्ड, "बीएसएनएल और एमटीएनएल से कहा अब भी कर रहे हैं उनके MNP उपकरणों के साथ तैयार नहीं है. हालांकि अभी तक एमटीएनएल gateways स्थापित बीएसएनएल के प्रवेश द्वार स्थापना के अंतर्गत है. यह 4-6 महीने के लिए पूरी प्रक्रिया में देरी और शुभारंभ करेंगे अगले साल की शुरुआत के लिए धक्का दिया जा सकता है. " एमटीएनएल के अध्यक्ष एवं प्रबंध निदेशक, श्री आरएसपी सिन्हा ने कहा, "हम पीएसयू नियम और कानून का पालन करने के लिए उपकरणों की खरीद MNP और यह एक समय लेने वाली प्रक्रिया है. इसलिए, यह संभव हमें MNP के लिए हमारे नेटवर्क सक्षम करने के लिए नहीं था. "करने के लिए एक योजना का कार्यान्वयन अभी अंधी गली ऑपरेटरों को आपस में दो महीने के लिए एक पूर्ण पैमाने पर योजना शुरू करने से पहले परीक्षण की सुविधा होगी के रूप में आता है. एमटीएनएल के एक वरिष्ठ ऑपरेटर हाल ही में कहा था, "हम निविदाओं रु 8 करोड़ आमंत्रित किया है की आपूर्ति के लिए MNP gateways और परीक्षण उपकरणों की स्थापना. वर्तमान में, हम सरकार के उपकरणों की खरीद के अनुमोदन के लिए इंतजार कर रहे हैं. फिर हम gateways स्थापित करेगा. " लेकिन MNP की संवेदनशीलता को कीमत के प्रति संवेदनशील प्रीपेड ग्राहकों के लिए मामूली लाभ हो सकता है. गोद लेने के बाद भुगतान किया है और उच्च खर्च प्रीपेड ग्राहकों को सीमित किया जा सकता है. हालांकि, MNP ग्राहकों में सुधार लाने पर ध्यान केंद्रित दूरसंचार संचालक ड्राइव कर सकते हैं करने के लिए एक और ऑपरेटर के लिए ऊपर स्विचन से ग्राहकों को रोकने के लिए अनुभव. The government is likely to defer the mobile number portability till early next year, after some operators were not ready with their MNP equipment to meet the earlier deadline of June 30th, 2010. MNP shall facilitate the mobile subscribers within one operator to retain the same number if they switch to another operator. Under this scheme the principal requirement is for the MNP Gateway to handle the porting communication between different operator’s mobile operators. Chairman and MD of MTNL, Mr. R. S. P. Sinha, said, “We have to follow the PSU rules and regulations to procure equipment for MNP and this is a time-consuming process. Therefore, it was not possible for us to enable our network for MNP.” Another roadblock to sooner implementation of the scheme comes as the operators would have to test the facility amongst themselves for two months before launching the scheme on a full scale. But the sensitivity of MNP might have marginal benefits for price-sensitive prepaid customers. Adoption can be limited to post-paid and high-spending prepaid subscribers. 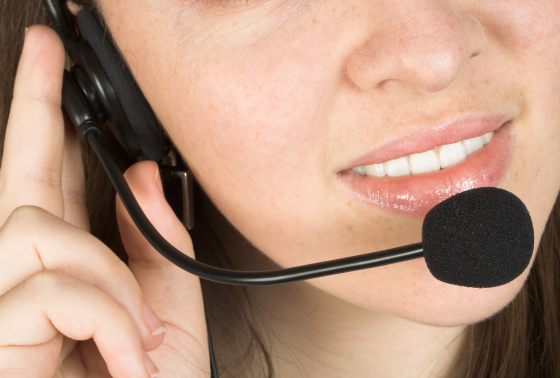 However, MNP can drive the telecom operator’s focus on improving the customers experience to prevent customers to from switching over to another operator. 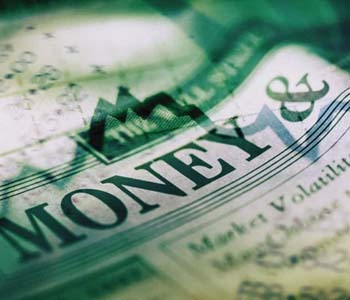 Tracking gains in the domestic share market, the Indian rupee closed higher by two paise to 46.54/55 against the US dollar. It resumed higher at 46.41/42 per dollar in the Interbank Foreign Exchange (Forex) market. It hovered in a range of 46.29 and 46.57 before finishing at 46.54/55 per dollar and had closed yesterday at 46.56/57. Meanwhile, the rupee hit its highest level in 4 weeks of 46.29 against the American currency during the afternoon on the back of a return in risk appetite globally. It was boosted by a rise in other regional peers as well. The Indian benchmark Sensex rose above 17,500 for the first time since early May during the day before ending 50 points, or 0.29 per cent, higher from its previous close. Mild selling of dollars by banks on hopes of further capital inflows into the equity market helped the rupee''s rise. In New York, however, the dollar declined and the euro touched its highest level since early this month. HDFC Mutual Fund has launched a new fixed term plan known as HDFC FMP 370D June 2010 (1), under HDFC Fixed Maturity Plans - Series XV, a close-ended income scheme. The face value of the new issue will be Rs 10 per unit. The issue will be open for subscription from June 14, 2010 and will close on June 17, 2010. he Plan's investment objective is to generate income through investments in debt / money market instruments as well as government securities maturing on or before the plan's maturity date. The plan's duration is 370 days from the allotment date. The plan shall offer two options - growth as well as dividend option. Further, the dividend option offers quarterly dividend option and normal dividend option with payout facility only The plan would make an investment of 60% to 100% of assets in debt & money market instruments that includes securitized debt. Moreover, the investments in securitized debt shall not be more than 75% of the net assets of the plan. The plan may invest up to 40% of net assets in government securities. The ample stock of vegetable oil at the major ports in India led to the decline in the imports of the vegetable oil during the May period by 25.5% to 5.58lakh tonnes, as per the latest data released by SEA of India showed. 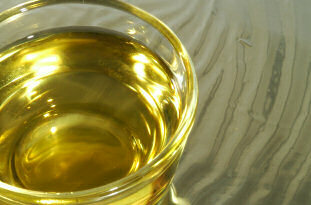 The total edible oil imports in May fell 22% to total 5.39 lakh tonnes against 6.59 lakh tonnes a year earlier. Beside this the total imports of crude palm oil also declined from 4.45 lakh tonnes last year to 3.14 lakh while soya oil imports stood at 1.10 lakh tonnes against 0.48 lakh tonnes and RBD Palmolien at 0.56 against 1.42 lakh tonnes reported last year in the same period. Moreover the stock position of edible oil at major ports of India at 1st June was low at 10.75 lakh tonnes against 12.25 lakh tonnes reported on 1st May 2010. The Indian rupee increased by 34 paise to 46.49/50 against the US dollar in order to extend gains for the third day. This is on signs of capital inflows in the midst of the stock markets increasing for the fourth day in succession. 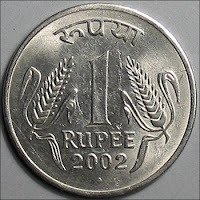 Meanwhile, the Indian rupee resumed higher at 46.70/71 per dollar against last weekend''s level of 46.83/84 per dollar. It shot up further to 46.41 per dollar before concluding at 46.49/50 per dollar. The rupee, however, has gained 52 paise, or 1.11%, in 3 trading sessions against the dollar. Dealers in forex said there was hectic demand for the rupee, with capital inflows surging. UCO Bank today said that it plans a follow-on public offer in July in order to raise around Rs 500 crore. Commenting on this FPO, UCO Bank Chairman and Managing Director S K Goel said "We are planning to raise Rs 500 crore through a FPO in July". The money raised through the public offer will help the bank to increase its business. Meanwhile, the Central government on June 12, has approved the capital infusion of Rs 375 crore into UCO Bank, along with four other public sector banks. This move from the government is the part of its budgetary promise to provide a sum of Rs 165 billion to the Public Sector Banks in order to ensure better liquidity. Infotech Enterprises Ltd has informed that the Committee of Board of Directors has allotted 5,55,52,348 equity shares of Rs. 5/- each by capitalizing the free reserves and distributed as fully paid up bonus shares in the proportion of 1 Equity Share for every 1 existing Equity Share held by the members of the Company whose names appear on the Register of Members/Register of Beneficiaries as on June 12, 2010. Insurance regulatory and development authority (IRDA) has withdrawn agency licences from over 4,200 corporate entities for non renewable. However the insurance regulator has assured the customers on Thursday that their policies would remain valid despite the move. The entities to lose their licences include majors like HDFC Bank, Indiabulls Insurance Advisors and Indian Overseas Bank. Conveying IRDA’s firm stance its Chairman Mr. J Hari Narayan has pointed out that the withdrawn licences of the corporate agents will not be renewed with retrospective effect. The regulator had nearly 7,000 agents at the end financial year 2009-10. The Ministry of commerce is eyeing for units transfer within SEZs. It is trying to build an inter-ministerial consensus on the policy to allow shifting of units from one Special Economic Zone (SEZ) to the other. In its meeting on 8th June 2010, the Board of Approval (BOA) has cleared SEZ proposals. A Commerce Ministry official has said that the BoA agreed in-principle that there should be a policy for migration of units from one SEZ to the other, some departments has raised concerns, which would be sorted out. However, some government department like – Revenue Department had apprehensions that this provision, if added to rules, might be misused. Besides, the Commerce Ministry, is optimistic on its point that migration with some clauses to check misuse should be allowed. The official said that if an SEZ is closed then what would happen to the units there. After a spell of price cut in the last few months it is unlikely that the steel market will turn around immediately that too with news coming that there will be production cuts. The steel industry has been put in to bad position due to a combination of factors like the crisis in the European markets and policy tightening in China. 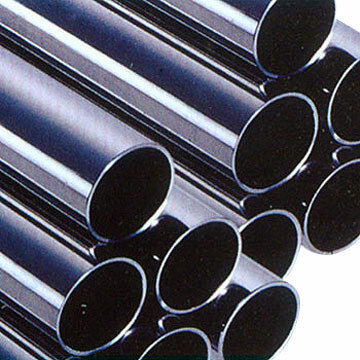 Moreover the raw material prices are also high. On the other hand the Mumbai-based cold roller and galvanized player, Uttam Galva Steels said that in the coming few days if the situation doesn’t improve it is likely that the company will go for a production cut. Prices of hot-rolled coil (HRC), a benchmark for flat steel, used by automobile and white goods makers, are hovering at about Rs 32,000 a tonne, fell Rs 2,000 over the last month. With demand weakening, producers are trying to keep prices at the same level. Kotak Mutual Fund has revised the exit load structure for Kotak Quarterly Interval Plan Series 8 and the change will come into effect from June 10, 2010. Accordingly, the exit load charge is 1% for redemptions / switch outs on or before 30 days from the allotment date of units. However, there will be no exit load for redemptions / switch outs after 30 days from the allotment date of units. Kotak Quarterly Interval Plan Series 8 is an interval debt fund with an investment objective to generate returns through investments in debt and money market instruments in order to significantly reduce the interest rate risk. In order to issue fresh securities for upto R 2,750 crore, the board of Fortis Healthcare has given the green signal to it. Meanwhile, the board also approved raising the borrowing limits of the company to Rs 6,000 crore. Fortis Healthcare is Asia''s largest private healthcare player. It also approved the issuance and allotment of upto 22.35 million equity shares. It is of face value of Rs 10 each at a premium of Rs 160 per share on a preferential basis to Lathe Investment aggregating to Rs 380 crore. On the other hand, it had announced the successful completion of the $100 million foreign currency convertible bonds (FCCB) issue. The five year bond is priced with a yield to maturity of 5.54% and an initial conversion price of Rs 167. India''s biggest hospital chain has just bought itself another 16 hospitals, in one of the largest international healthcare deals. Finance Minister Pranab Mukherjee, India can maintain an 8.5% growth in 2010-11 in spite of the euro zone problems. But, it can happen provided there is a normal summer monsoon. Meanwhile, the minister also said that if the monsoon panned out as expected, slow growth in India''s private consumption is likely to reverse in fiscal 2010-11. Earlier, it was said that when the growth figures for the 2010 fiscal will be released today, the week may commence on an optimistic note. This, however, is as most economists think that the economy will have grown more than the official advance estimate of 7.2%. Meanwhile, FY10 GDP growth was forecast at 7.2 % according to the official estimate made before the year end. An official at the National Agricultural Cooperative Marketing Federation of India (Nafed) said that the India's exports of onion fell by 40 % to 2, 51,000 tonnes in the first two months of the current fiscal year. The official said that in terms of value the exports in April-May declined sharply to Rs 258 crore. 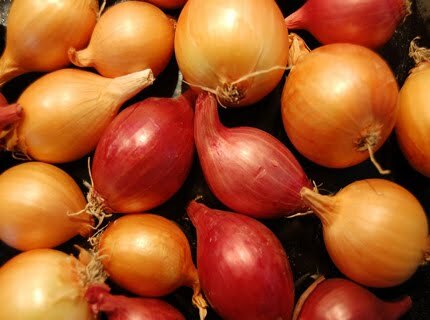 Whereas the government data showed that in Apr-May 2009, the country exported onions worth Rs 391 crore. The official further pointed out that due to high minimum export prices (MEP) in the early part of the year had diverted demand to other countries in general and Pakistan in particular which made the exports decline at the beginning of the year. Further the government had increased onion MEP in order to curtail rising domestic prices of onion. It was increased from $200 in November to above $500 a tonne in early March. Spicejet Ltd has informed that the Company has allotted 15,360,715 equity shares of Rs. 10 each at a premium of Rs. 29.46 per equity shares to GS Investment Partners (Mauritius) I Ltd. consequent upon conversion of 15,360,715 warrants earlier issued to them on preferential basis.